Skate Cape May 2011: 94.3FM The Point, WRNJ, Shirts! 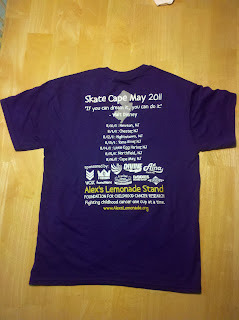 Shirts are in! Or they have been for a little while, I just haven't had the time to put them up yet. The logo on front has been adjusted for better contrast with the purple and has a different font than last year. The back now has a collection of the pledged sponsors when the shirt order had been put in. Many thanks to the what is temporarily an unknown business that donated them to us - as soon as we find out the name we'd love to list them as a sponsor for their generous contribution. But shirts are not the bulk of this post, no! Earlier this morning we took a very exciting early morning drive down to Toms River for a radio interview with 94.3 FM (The Point) on their morning segment with Lou and Liz. No problem with waking up at five in the morning - we were up doing a little warm-up skate in front of the studio before it was open! It was a quick interview but we're glad to have the word out - when we stop in Toms River at the Ocean County Mall on August 13th, The Point also said they'd send out a van to do live radio and music and whatnot. Definitely check us out then! We are also going to be doing more live check-ins with WRNJ: one at 7:15 at the studio on August 10th and almost daily at around 8 or 9am on the actual trip. Tune in and maybe hear about our progress on 92.7FM or 104.7FM if you're in the Hackettstown area! 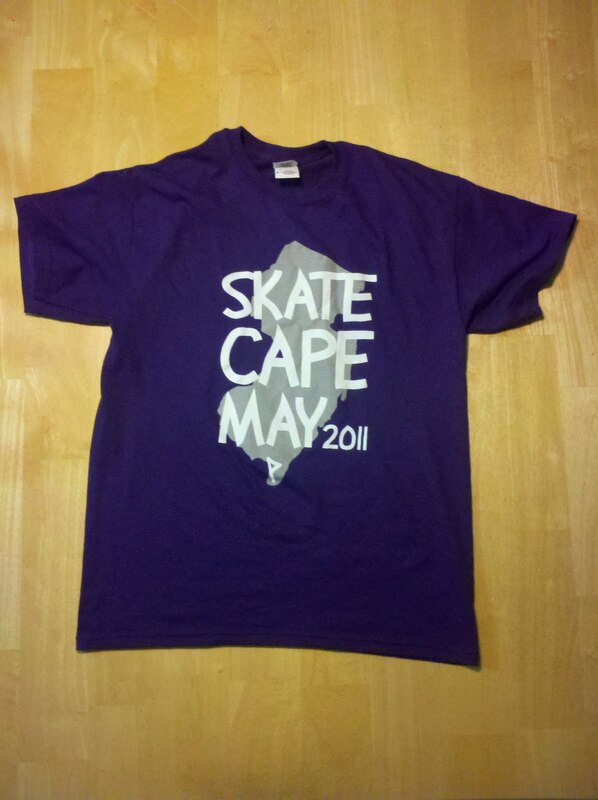 Otherwise, keep checking back on the blog for continuous updates, especially with Skate Cape May starting in just two days! I'll be keeping you posted as always!